Haul around groceries, furniture, luggage or office supplies effortlessly with the TAHAN THP-300 Foldable Platform Hand Truck. 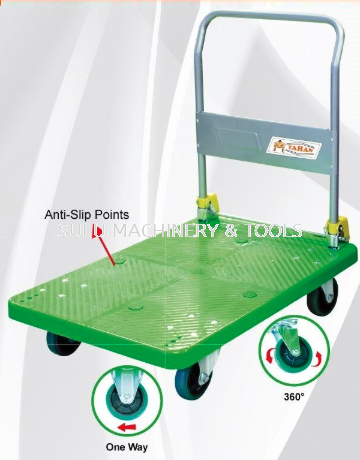 This product is the wonderful choice for moving heavy goods. The flat deck makes it easy to load and unload. Four 5' castors (2 SWIVEL & 2 RIGID) provides ample stability for this heavy load when on sidewalks, pavement, at home or in office corridors. It is a smart choice for your home or business.